Moderate to severe property damage can result in the potential loss of thousands or tens of thousands of dollars or more. Property damage may be caused by severe weather, fire, flooding and many other types of issues. Regardless of what has caused property damage to your home recently, you may be able to file a claim against your homeowners’ insurance policy. Many homeowners are eager to contact their insurance company as soon as possible to begin the claims process and to get their home repaired as soon as possible. However, it may be wise to walk through a few important steps before you file a claim. Your property insurance company will assess the damage and will assign a dollar amount to the loss. This dollar amount will be based on the presumed condition of the property before the damaging event occurred. It will also be based on the presumed value of personal items that may have been damaged. If the adjuster fails to estimate these conditions and values appropriately, you may not receive the full settlement amount that you could be entitled to. It is wise to document the condition of your home and its contents before a damaging event occurs. However, if you failed to do so, you can always sift through photos and videos taken on your property. Background images of the home may show the condition of the property and the home’s contents. You could also gather any receipts that you kept over the years. Another important step to take before calling the claims department is to assess the damage yourself. Walk through the interior and exterior of your home to get a full picture of the damage. When the adjuster arrives, ensure that he or she sees all damaged areas. This will ensure that the claim settlement is as accurate as possible. You may even document the damage yourself with photos or videos so that you have evidence of the damage if you have a dispute with the property insurance company. Through this effort, you may have before and after evidence that documents the extent of the damage. You also need to be aware of what your coverage includes and excludes. For example, some people assume that flood damage is covered by a basic property insurance policy, but this is not the case. You typically need to purchase flood insurance separately. In addition to learning more about the coverage types that you have, determine what your coverage limits are for each type of coverage that is relevant to your claim. Another important factor to examine is your deductible amount. This is the dollar amount of the repairs that you are responsible for paying out of your own funds. Either right before or immediately after you file a claim, it is wise to contact a few repair contractors to get estimates on your own. You cannot know if the settlement that you are receiving from the claims department is accurate if you do not have quotes in your hand. These quotes can be used as a basis of a dispute if an issue arises. Remember that you typically have the right to choose the contracting firm that you prefer to use, but the insurance company may only need to pay you a settlement amount equivalent to the lowest bid that you or they received. It can take several days or longer to gather multiple quotes from contractors. This is particularly true if your home was damaged in a bad weather event that caused damage to many other homes in your area. Avoid approving a settlement claim until you are comfortable with the settlement. 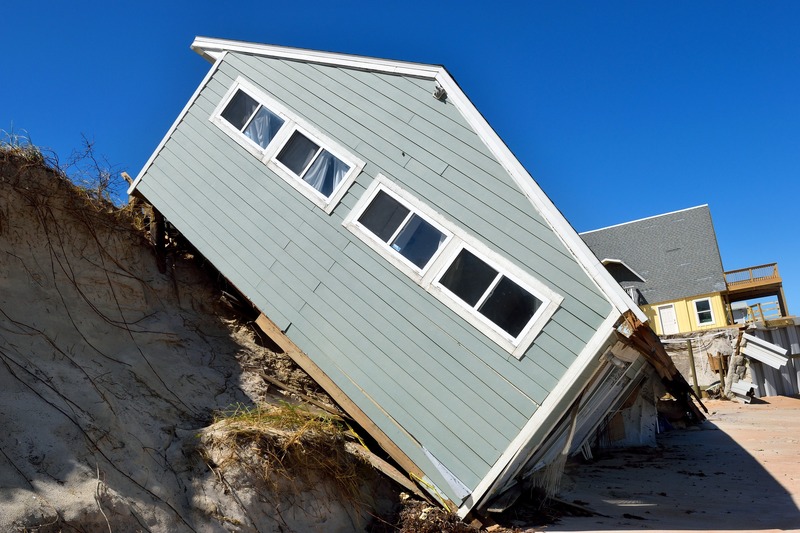 Property damage can be severe, and it can result in a partial or total loss. Filing a claim is a necessary step if you want your insurance company to pay for the repairs or replacement. While some insurance companies process a claim fairly and without hassle, many claims are disputed. You have a lot to lose if your claim is not handled fairly. By taking these important steps, you can protect yourself throughout the claims process.